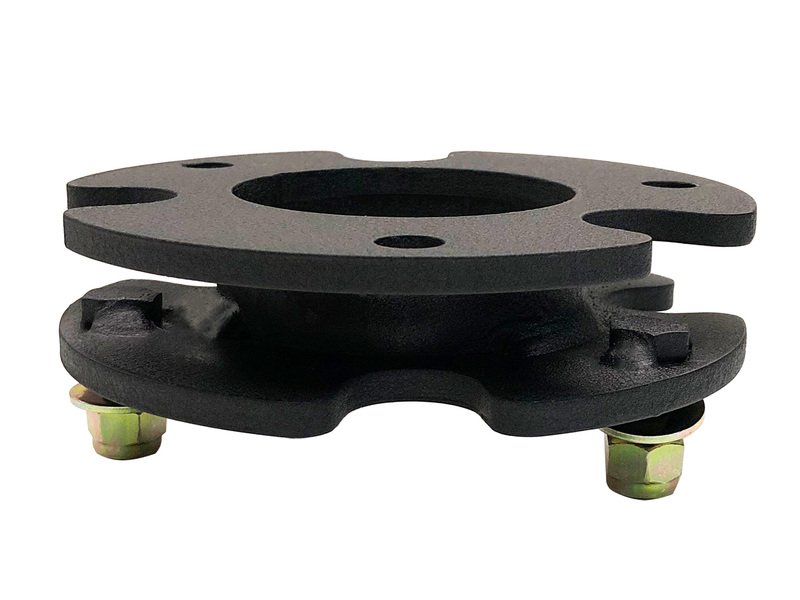 If you have been wondering how to level the front end of your Ford F-150, this Tuff Country Ford F150 leveling kit is a great solution. 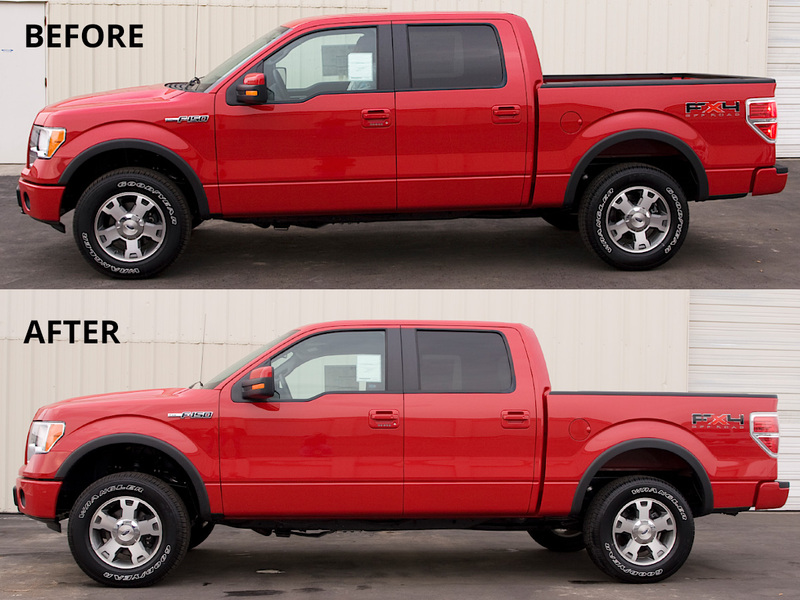 It will lift the front of the F150 so that it is the same level as the rear. 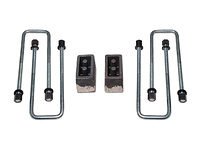 The kit installs above the factory struts without interfering with the factory ride. 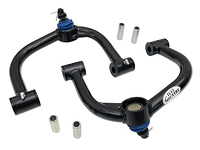 You also do not have to do any strut disassembly, and you can retain the struts. 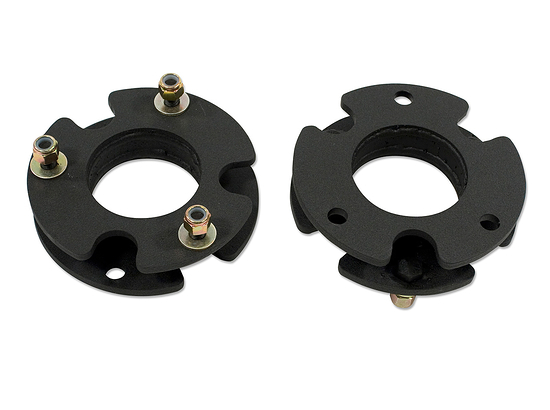 This leveling kit is made of black powder coated steel, and it is manufactured in the United States. By installing the Tuff country leveling kit, you will get rid of the "nose down" appearance. Will not fit the "Raptor SVT" models. I would say no this will not void the warranty. 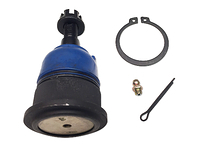 We sell these directly to Ford dealerships that install these on new trucks before they even sell it. Gives them a better looking truck to offer compared to the dealer next to them that doesnt have a leveling kit. 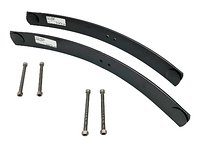 Should I get a front end alignment after applying this product on stock 2015 F150, with the stock rims and tires? I am not changing the rims and tires yet. Great question, the manufacturer recommends front end alignment after install. Even if you are keeping the stock tires and wheels. Well made easy to install and worth the price. Now the truck looks like it should have from the factory. Great level kit with an even better price. This kit gave my truck the leveled stance that I was dying by for. My truck still rides like stock but without the nose down look.With price of kit plus installation from a buddy of mine, total amount spent was under $250!!! 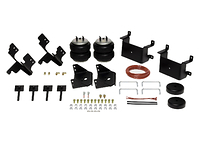 Beats ordering other kits that require new shocks, struts, etc... recommended this kit to my brother and he just ordered one for his '17 F150. Had this installed to my 2016 F150. I am not too mechanically inclined however the installation was a breeze and I find that it makes my truck look even better. The ride is good even on terrible roadways or going over railway tracks. Delivery was prompt. i will definitely refer this 2 inch level. Thanks Suspension Connection. 2016 Ford F150 XLT v8, SuperCrew. Great addition to my upgrades! 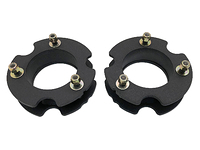 I found Suspension Connection after a lot of web surfing. 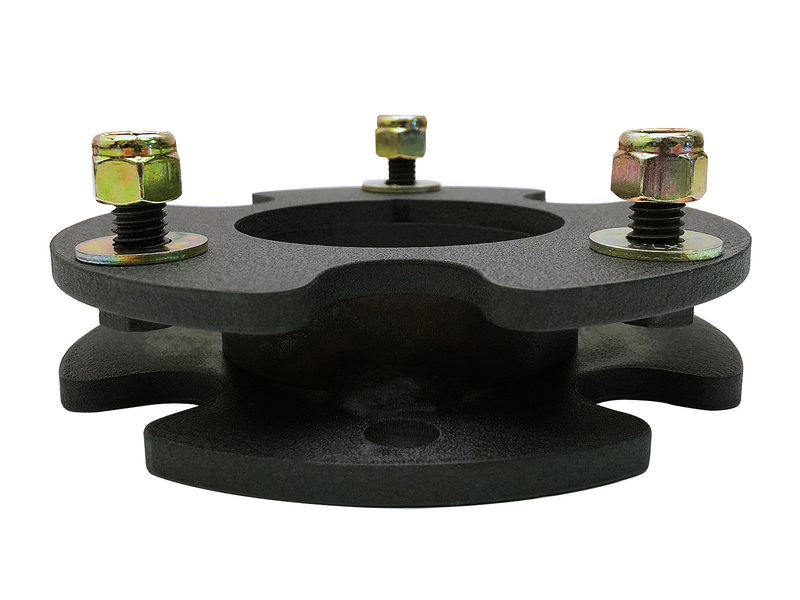 The 2 inch level was recommended by a friend who is a Ford Service Manager. The price was very reasonable. I bought it and had a licenced Ford Mechanic install it since it is not my area of expertise. I must say that when I saw the truck on the lot I was impressed and loved the look. The ride was firm but comfortable and all I have to say is that I am very Satisfied with this level. Fits perfect, good project for thru DIY'er. Made my truck stand up proud. So far a great part! Ease of installation for someone that isn't a mechanic was AWESOME! First one took an hour and a half, second one took 35 minutes! Holding up well so far, and makes the truck look great! 2.5 hours to install, parts worked as advertised, remember camber, caster & toe, my 2016 f150 4x4 looks excellent, new 33x12 tires on AR Outlaw II's going on this week.